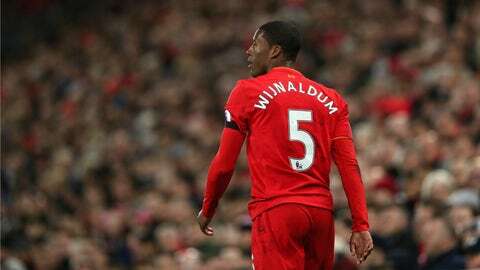 Georginio Wijnaldum’s been one of Liverpool’s best players this year, and he probably can’t walk around the city center at this point without being recognized instantly. So what’s a guy to do if he wants to stroll around and casually nutmeg Merseyside passersby? Wijnaldum takes a page out of Cristiano Ronaldo and Kyrie Irving’s book, donning an old man mask and hitting the city center in search of nutmegs. He’s accompanied by streetballer Touzani, who’s made a whole career of nutmegging both unsuspecting and fully cognisant victims. Some folks try their level best to keep from getting sauced on, while others don’t even know what’s going on. Wijnaldum racks up the megs, and even Touzani seems pretty impressed with his footwork. Not too bad, even for a professional footballer.